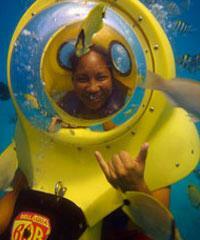 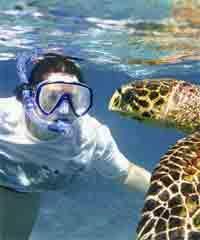 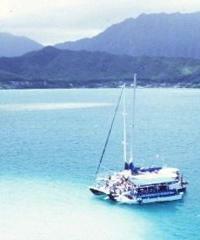 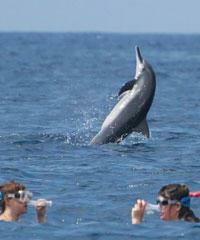 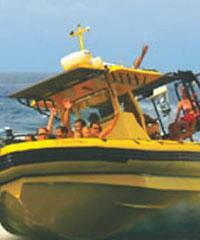 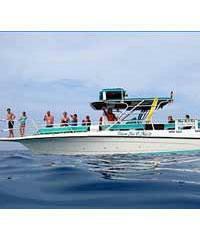 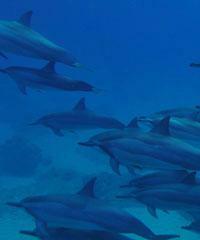 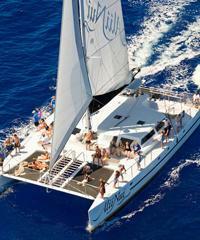 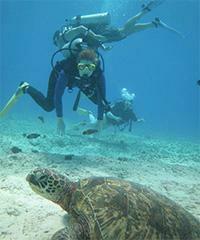 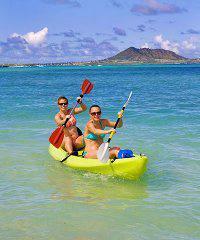 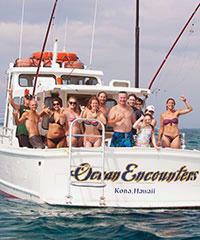 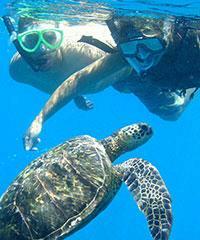 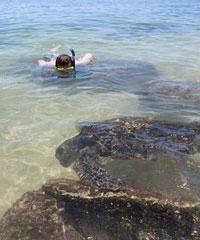 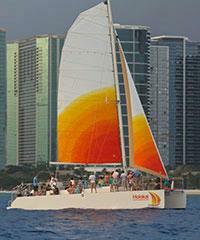 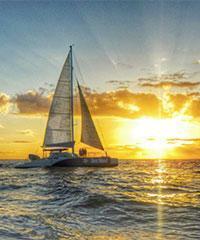 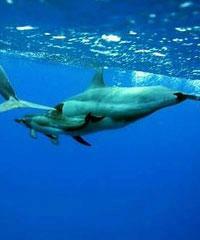 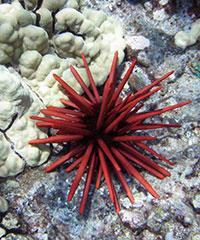 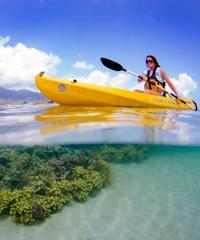 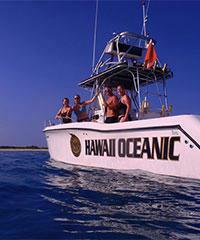 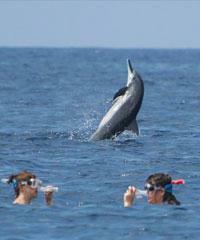 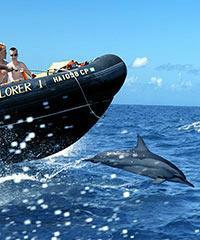 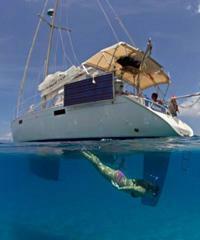 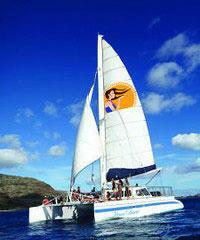 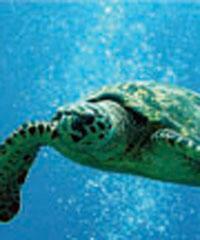 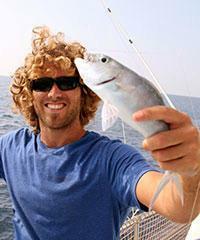 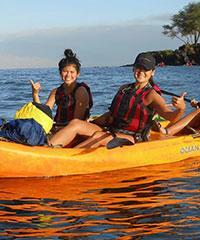 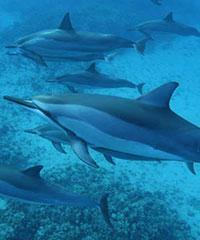 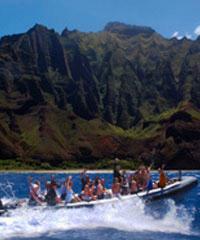 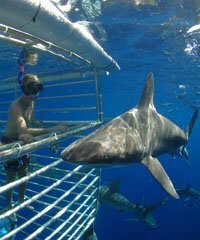 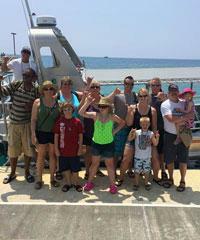 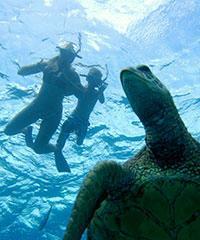 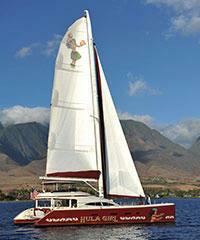 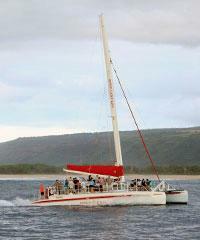 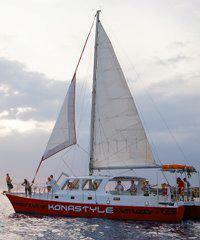 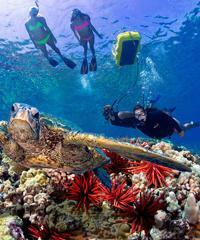 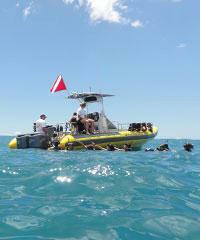 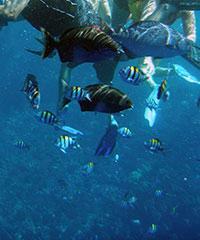 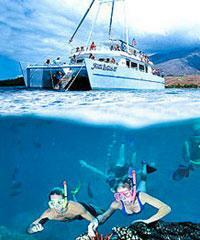 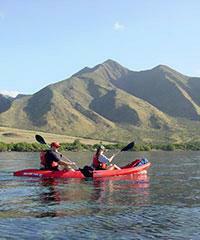 Snorkeling Hawaii: Hawaii Snorkeling Tours Top the List of Popular Activities in the Islands! 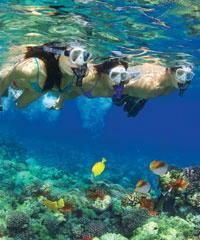 Snorkeling Hawaii is by far the single most popular category of activities to be found in Hawaii. 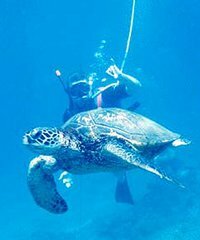 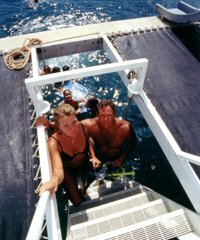 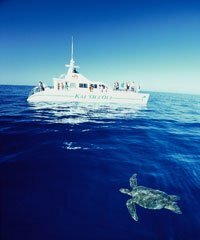 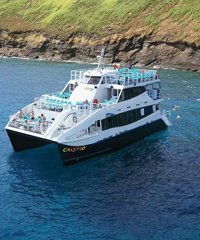 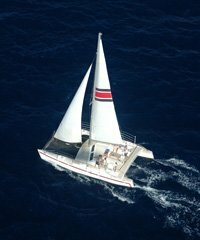 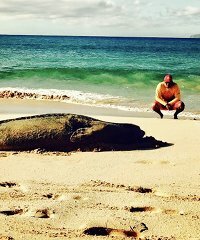 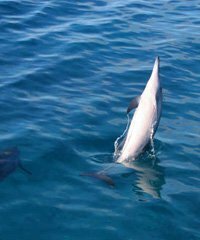 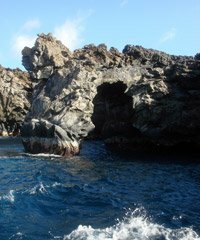 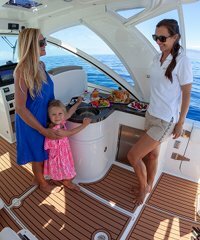 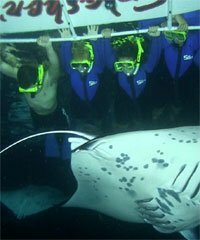 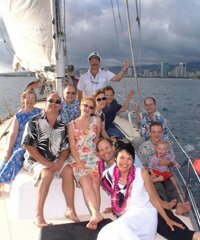 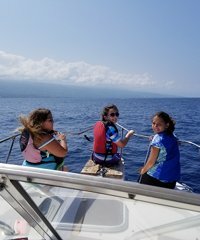 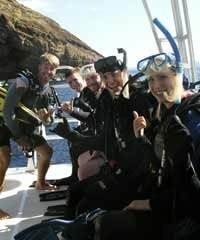 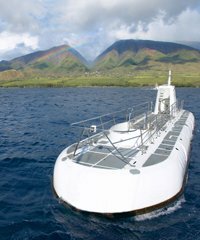 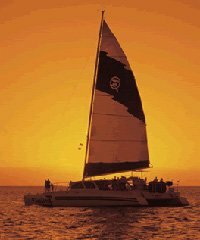 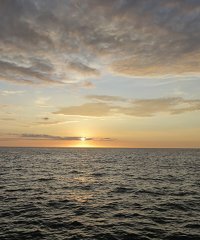 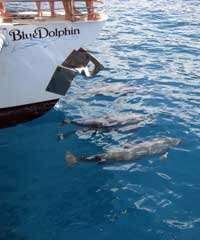 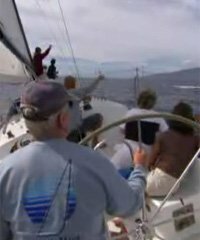 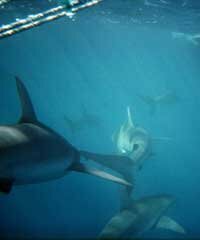 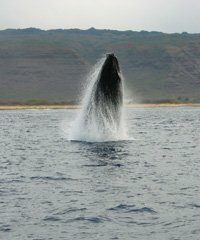 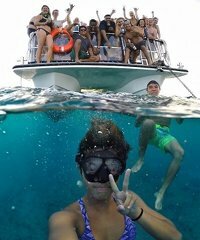 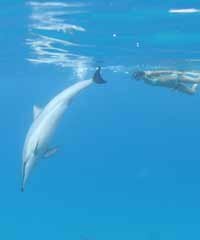 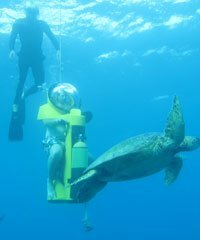 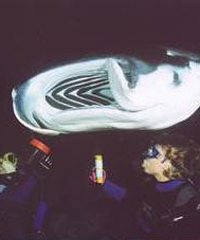 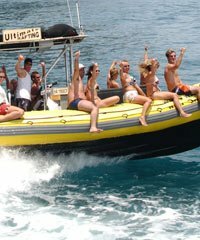 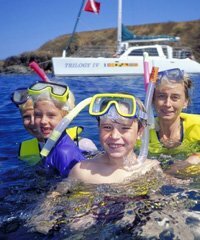 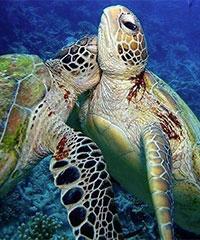 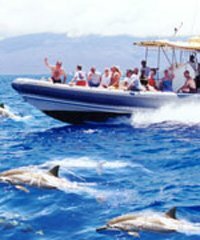 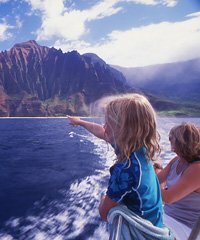 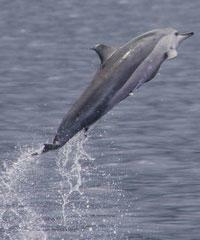 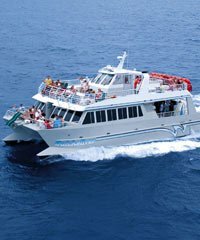 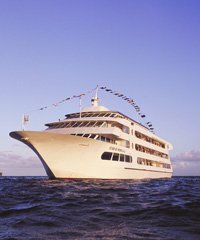 One reason for this is that Hawaii snorkeling is often a component of many different types of tours found on any individual island in additions to Hawaii snorkel tours such as many of the Dolphin watches, Whale watches, Diving Tours, raft excursions and even in some cases Dinner Cruises. 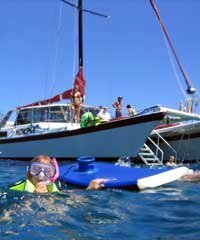 It seems that whenever island visitors have an opportunity to get out on the water they want to take advantage of the occasion to snorkel in Hawaii as well, and for good reason. 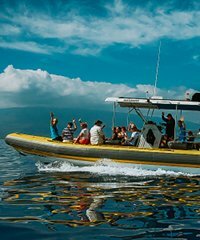 Hawaii's warm waters, excellent visibility, beautiful coral reefs and abundance of tropical sea life provide large magnets luring visitors into the water. 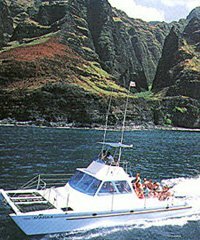 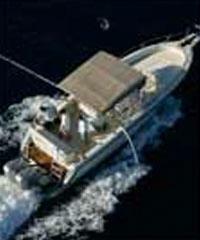 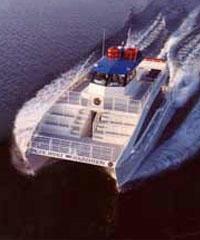 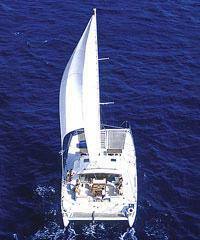 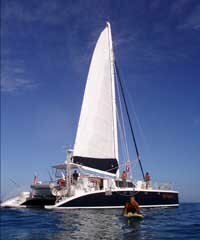 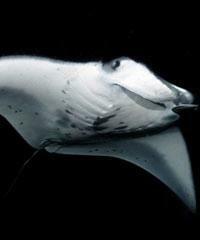 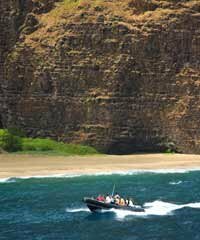 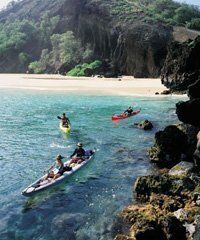 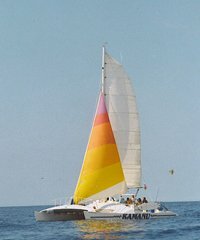 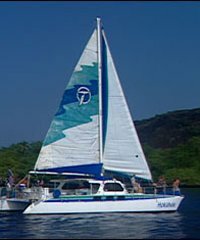 Each island has its own unique Hawaii snorkeling tours with their own specific advantages. 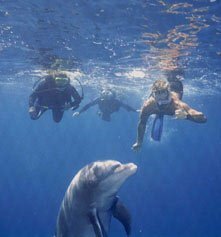 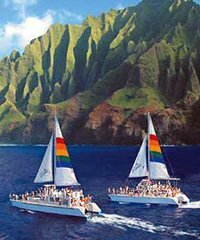 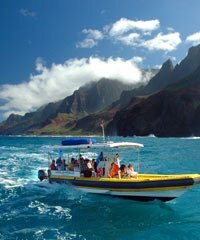 On Kauai the snorkeling along the Na Pali Coastline also affords the visitor an amazing vantage point from which to view this dramatic coastline as well as likely see generous quantities of Dolphins. 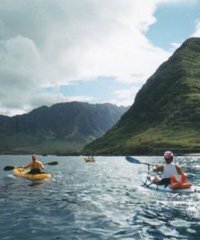 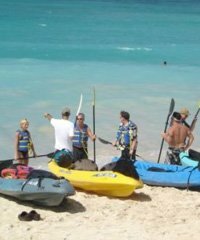 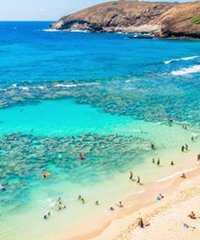 Oahu's western coastline also provides a great location to include copious quantities of Dolphins with your snorkeling and snorkeling on Oahu's windward coastline will give you an opportunity to visit the Mokulua Islands and enjoy a Kayak outing as well. 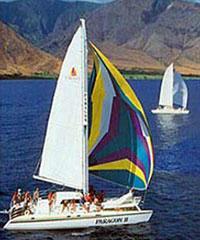 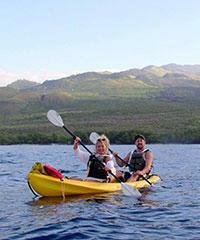 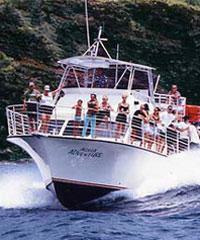 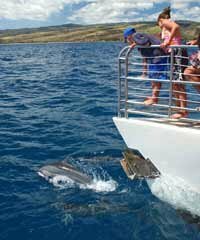 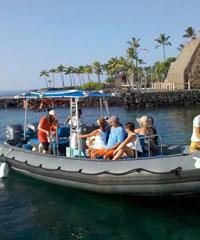 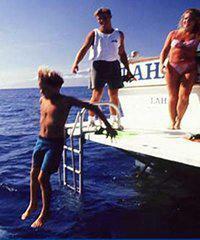 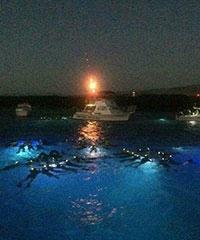 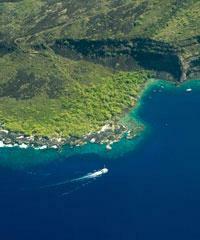 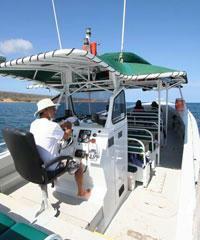 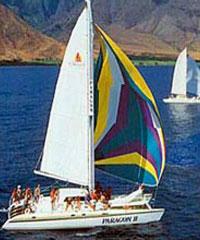 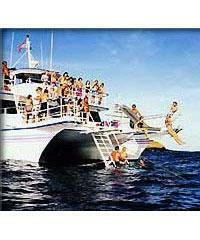 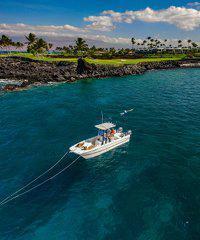 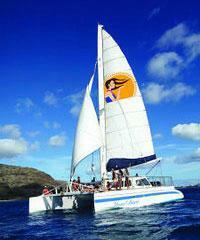 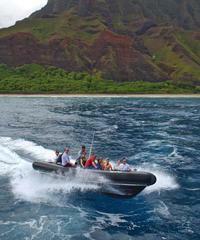 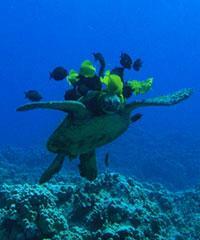 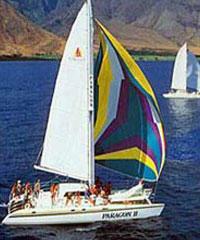 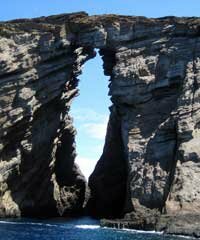 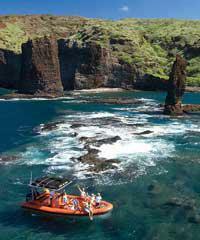 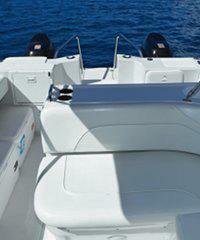 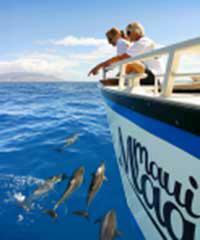 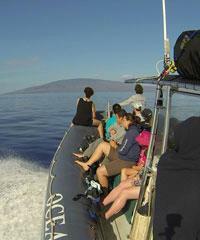 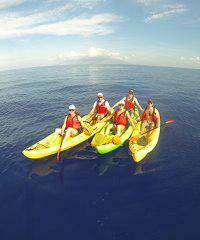 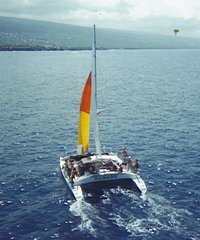 Participating in one of the Hawaii snorkeling tours on Maui will in many cases be defined by an outing to Molokini. 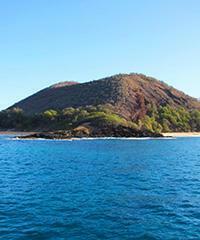 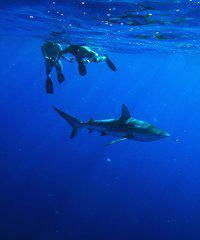 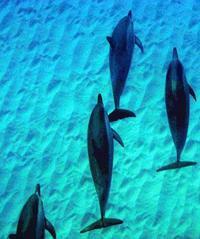 The marine reserve of Honolua on Maui is also a fantastic place to snorkel in the summer months. 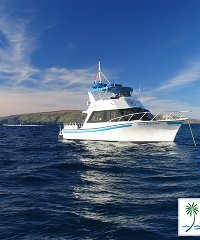 The island of Lanai's eastern coast offers perhaps the longest continuous reef suitable for Hawaii snorkeling tours in the state and of course it has the protected marine reserve at Manele Bay. 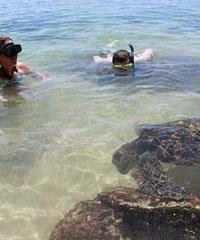 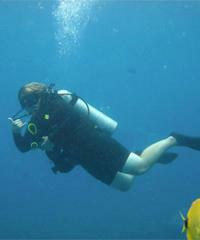 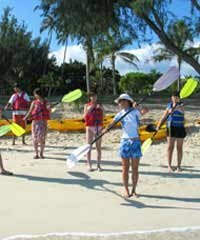 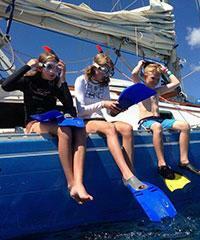 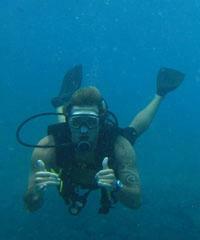 Snorkeling Hawaii is Fun and Easy To Learn! 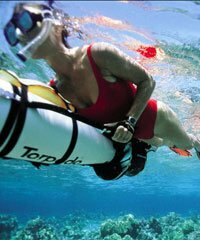 If you are not an accomplished snorkeler this should not be a concern for you. 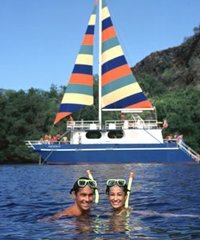 By far, most people participating on a Hawaii snorkel tour are doing it for the first time or have snorkeled infrequently in the past. 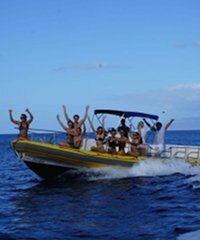 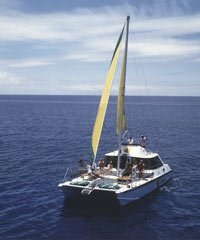 Each snorkel trip will include a brief snorkel lesson before getting into the water and additional help is always provided by crew during the excursion. 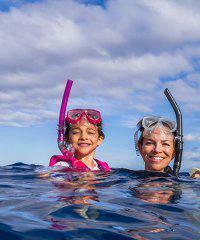 Masks and fins are also provided as well however you are always encouraged to bring your own snorkel gear if you wish. 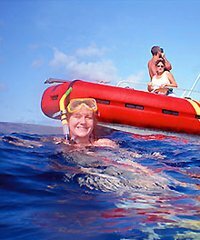 It does not take long to become proficient in your Hawaii snorkel experience and most people will find themselves comfortable in the water after a very short time. 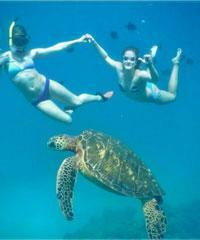 What will you see on your Snorkeling Hawaii experience? 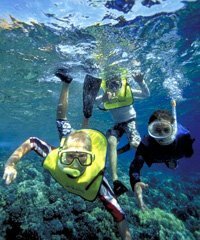 Angelfish, Barracuda, Blenny, Bonefish, Boxfish, Butterfly Fish, Cardinalfish, eel, Damselfish, Worm fish, Dart fish, Dolphin fish, Filefish, Flag tail, Frogfish, Goatfish, Goby, Grouper, Hawkfish, Round herring, Infant fish, Ulua, Hawaiian Dwarf Flounder, Lizard fish, Marlin, Spearfish, Moonfish, Moorish Idol, Moray, Mullet, Needlefish, Parrotfish, Pearl fish, Pipefish, Seahorse, Porcupine fish, Burr fish, Puffer, Remora, Sand perch, Sardine, Scorpionfish, Lionfish, Shark, Snapper, Sole, Squirrelfish, Soldier Fish, Surgeonfish, Unicornfish, Tang, Swordfish, Tilapia, Trevalley, Triggerfish, Tuna, and Wrasse. 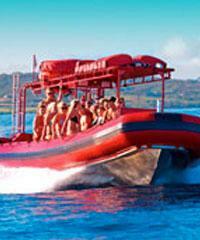 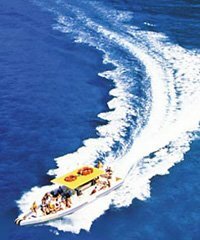 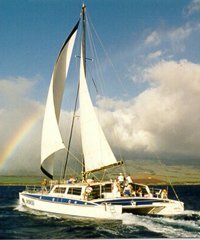 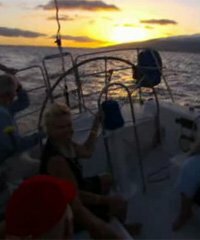 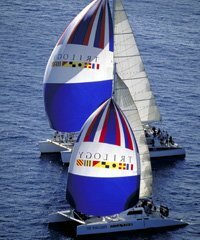 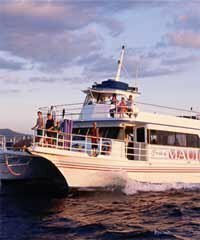 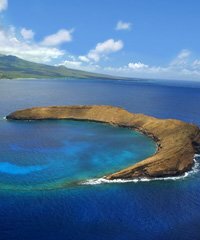 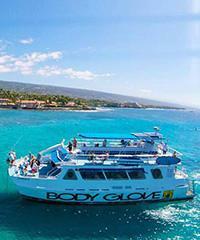 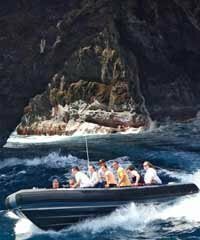 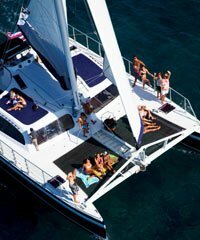 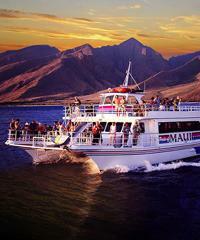 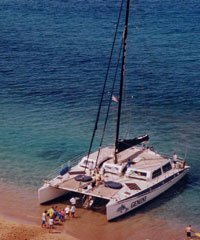 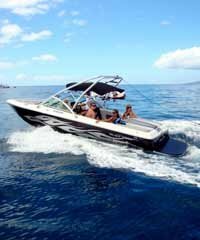 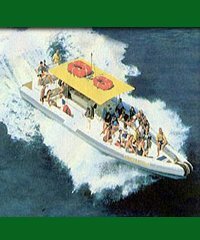 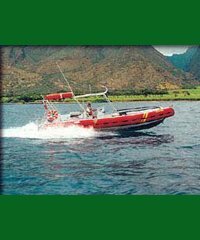 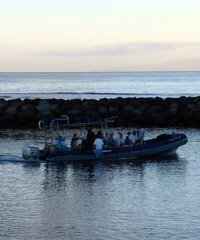 On Maui, Honolua and Kapalua Bay, Black Rock on Kaanapali and of course Molokini but to snorkel here you will have to take a Boat Tour. 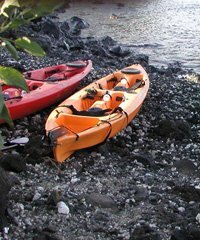 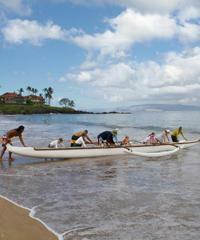 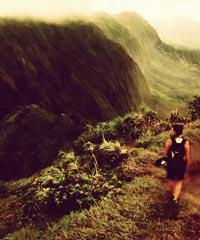 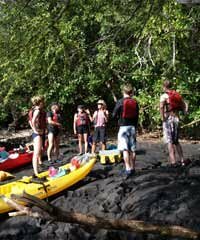 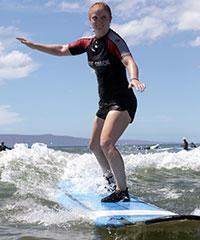 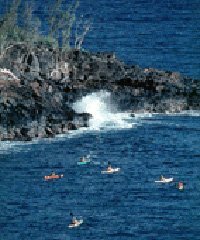 On the Big Island, great locations are Kahalu'u Beach, City of Refuge and Mauna Kea Beach. 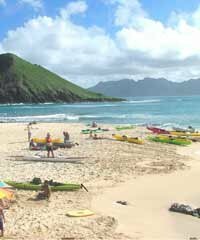 On Oahu: Hanauma Bay and Sharks Cove. 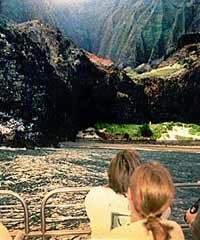 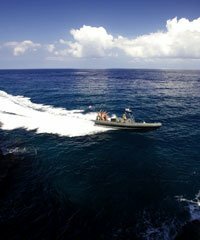 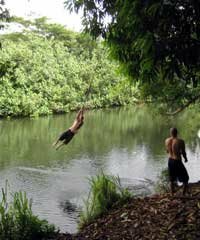 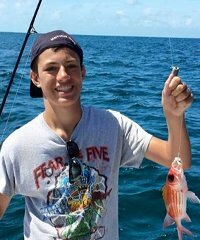 On Kauai: although there are some good locations here dependent upon the conditions, Kauai in our opinion can be too dangerous a place to snorkel on any given day in order to make a general recommendation. 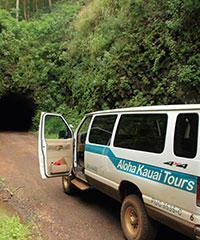 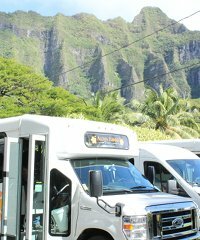 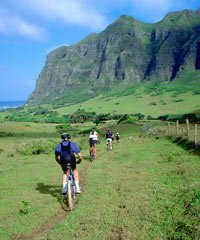 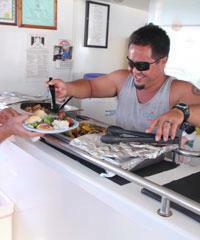 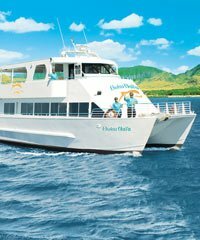 North Shore Beach Bus is the only tour company that combines two of the most popular tours on Oahu into one amazing day. 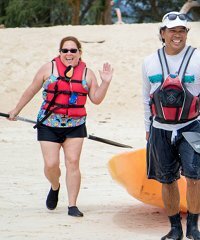 If you'd like to step out of the crowded fast pace of Waikiki and enjoy some of Oahu's most prized locations to Swim, Snorkel, SUP, Kayak or Hike, the North Shore Bus Tour is for you!